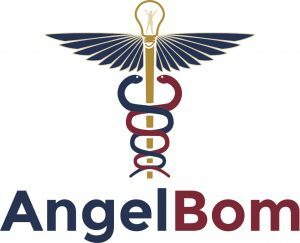 Introducing AngelBom, VisionTech’s first Affinity angel investing group. Created by students and alumni of the IU Kelley School of Business, Business of Medicine Program, AngelBom is an angel investing group that allows the Program’s alumni and their colleagues from across the country to apply the strategy, finance, marketing, and venture skills learned in the program to real world angel investing. Critically review the quality, feasibility, and profitability of high-potential startups. Invest and provide capitol to entrepreneurs in exchange for an ownership stake in presented ventures. Yield a return on investment for our members. AngelBom also enables Business of Medicine Program alumni, students and colleagues to remain connected with one another. The unique composition of members with in-depth knowledge of both medicine and business creates value for entrepreneurs and investors. Dr. Tom Heniff is the president of BCEM and medical director at Major Hospital. He grew up in Palos Heights, Illinois, received his undergraduate education at the University of Illinois at Champaign/Urbana, and earned his medical degree from Rush Medical College in Chicago. Tom completed his Emergency Medicine residency training at Methodist Hospital in Indianapolis. Tom holds various leadership roles at Witham and Major, including secretary of medical staff at Witham Hospital and chief of Emergency Medicine on the Medical Executive Committee at Major. He has special interest in administration, and completed his MBA at the Indiana University Kelly School of Business of Medicine MBA program in August 2016. 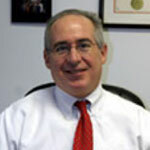 Dr. James G. Donahue attended medical school in Miami, Florida and graduated in 1989. 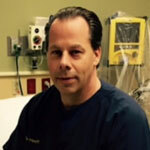 He completed his OB/GYN residency at Indiana University in 1993 and is board certified. Jim completed his fellowship in Reproductive Endocrinology and Infertility at the Medical College of Georgia in 1995. He has been in private practice in Indianapolis since 1995. Jim has led Family Beginnings, PC, a fertility clinic that has helped thousands of patients in Central Indiana for nearly a decade.